David Nolan Gallery is pleased to announce an exhibition of works by Barry Le Va. For his sixth exhibition at the gallery, we will feature a selection of new drawings and a recently published portfolio of prints. Le Va likens his works to crime scenes, where commonplace objects such as wood, felt, ball bearings, shards of glass, even chalk dust, are staged as evidence of an act happening in the past, whether it be an act of violence or simply one of carefully premeditated thought. Utilizing the dialectic of order and flux as well as notions of invisibility, transience, and temporality, Le Va attempts to classify and catalogue ways of thinking by distributing objects in space as complex markers or traces of process. 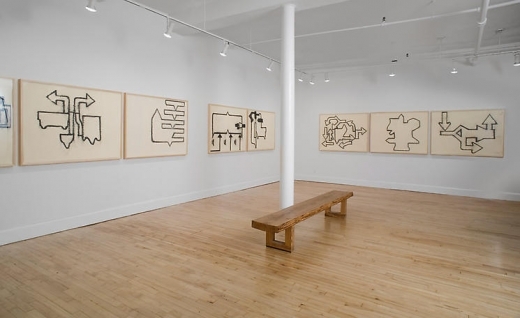 Through assembling sculpture across entire gallery floors and by activating vertical wall spaces, Le Va cogently brings into critical focus the complex legacies of Abstract Expressionism and Minimalism. Although Le Va's artistic production encompasses media as varied as photography, sound art, and books, his primary focus has been sculpture and works on paper. 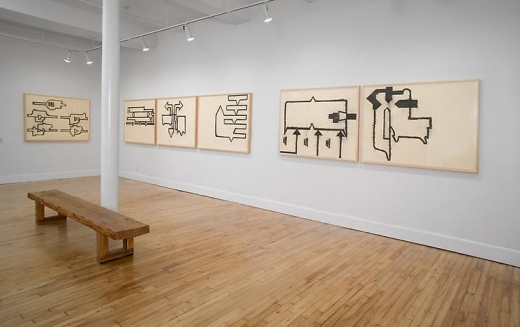 Le Va's drawings are diagrams of his thought and process. 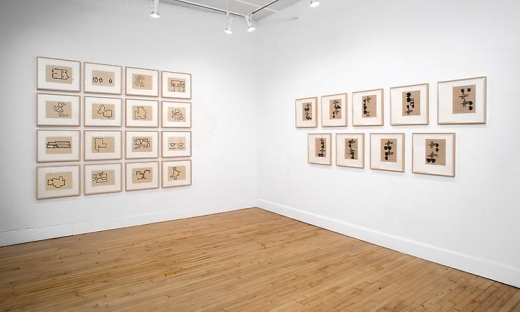 Earlier in his career, they are highly subjective, small-scale notations on sheets of graph paper composed of expressionistic lines and collaged elements, while recently they have achieved a more austere and formal quality as he employs a readymade visual language of technical diagrams and templates that are at once representational of ideas but also already abstracted. His interests are wide ranging, from chemical and molecular configurations to mappings of bunkers used in military actions. 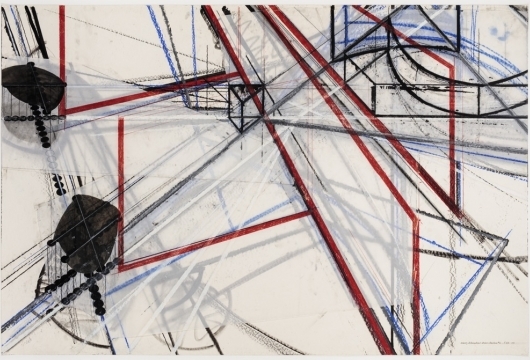 For this exhibition, Le Va has created diptychs and triptychs of drawings based on electrical diagrams which reflect his interest in the dialectic of order and chaos, of coldly rational systems of thought intersecting with the subjectivity of the artist and viewer. A portfolio of prints published by Edition Jacob Samuel entitled "Voltage" will also accompany the drawings. Barry Le Va was born in 1941 in Long Beach, California and currently lives in New York City. He has exhibited widely in galleries and museums in the United States and in Europe over the past 40 years and his works have been included in private and public collections around the world. Recent major museum exhibitions include the Museu Serralves, Oporto, curated by João Fernandes in 2006, Accumulated Vision at the ICA Philadelphia, curated by Ingrid Schaffner in 2005.